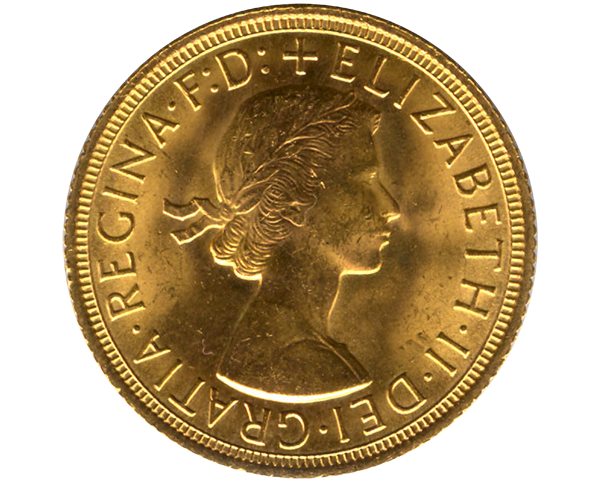 This is a 1963 British gold sovereign, and one of Aunt Mary's favorite coins. Unlike many coin collectors Aunt Mary was rather unschooled. She kept her coins loose in a tin box, and took them out to show them to visitors, or often just to peruse for her own enjoyment. 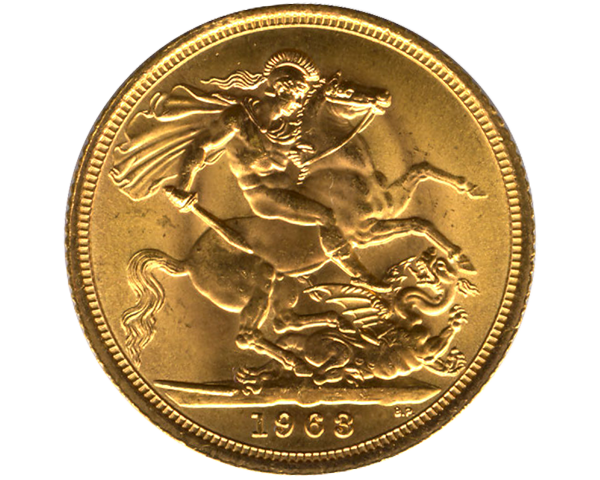 This gold sovereign, you will note, is something of a victim of this handling, for it is not in mint condition. It DID reside in its own velvet box as part of a proof set of Canadian coins, but being Aunt Mary's favorite--she particularly liked the weight and "heft" of it--she frequently took it out for guests to handle and play with. Despite this, it is indeed still a beautiful coin, and perhaps all the more interesting for its well-loved history.